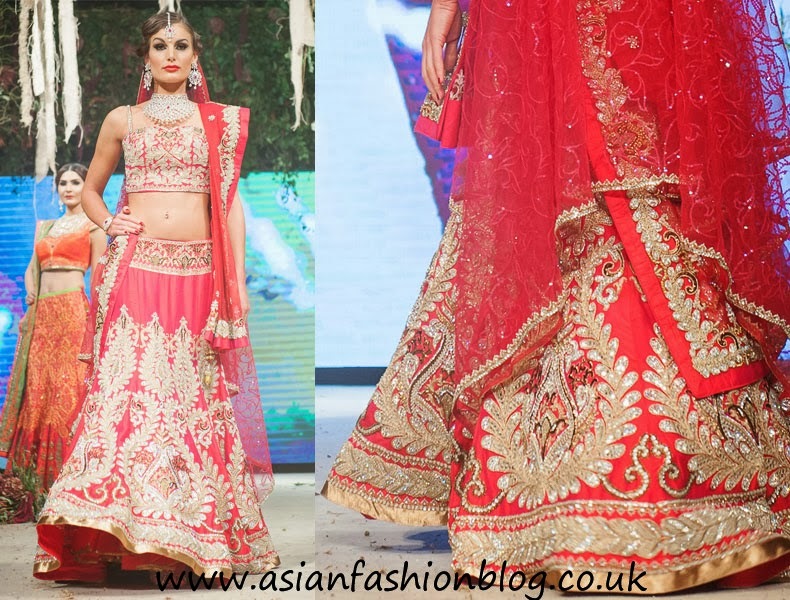 Ekta Solanki have been on my watch list for a few years now with their bold lehenga cholis and I'm sure they'll be on a lot more people's after tonight when their outfits will be seen on TV worn by the cast of reality show Made in Chelsea. 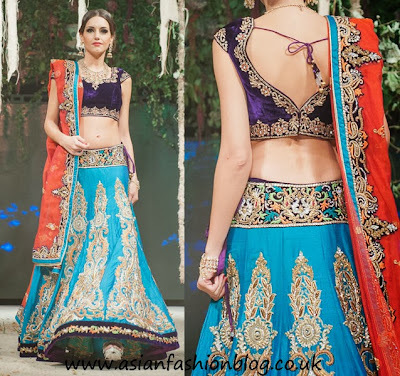 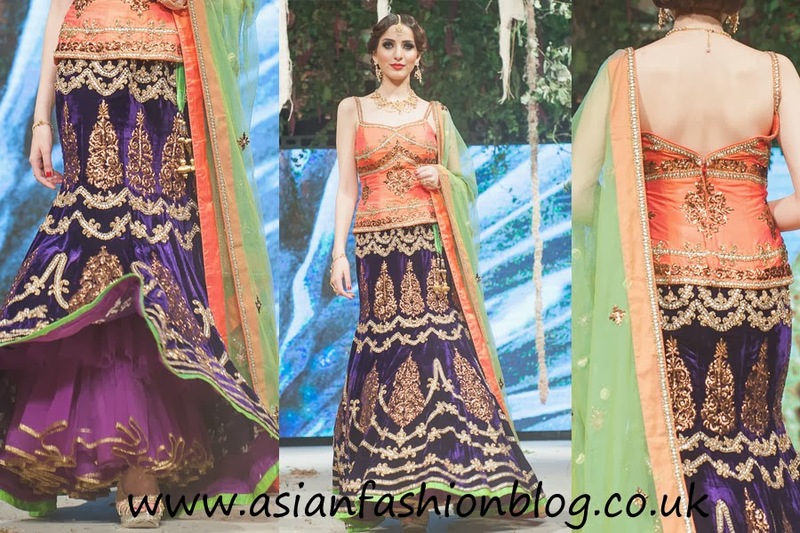 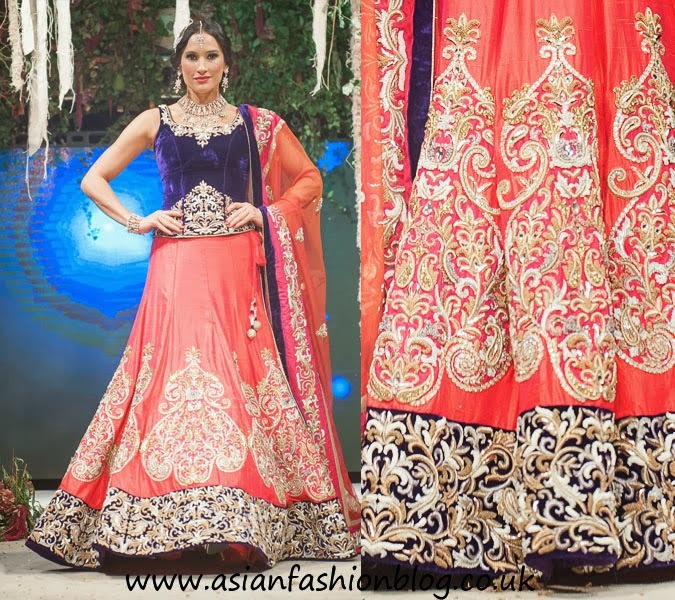 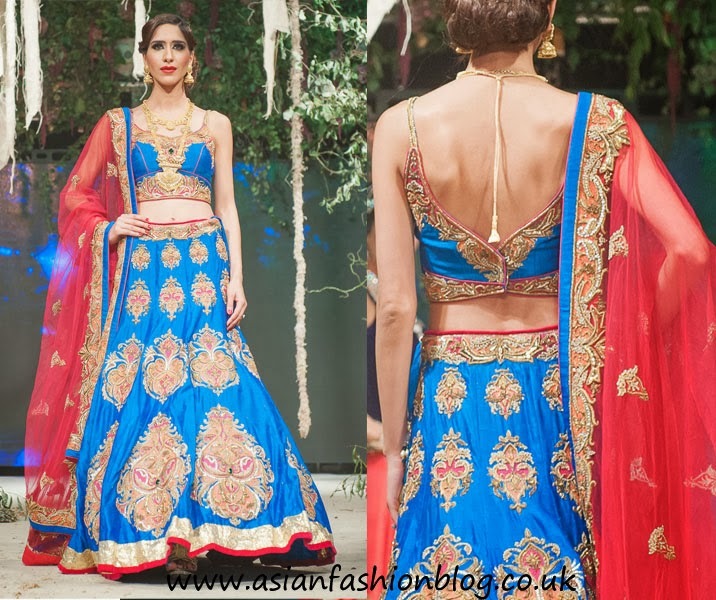 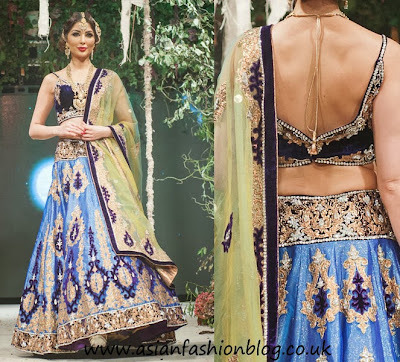 I've seen this blue and purple lehenga in a few magazine shoots and even though I've seen it before it still has that "wow" impact. I like the detail on the belt and contrasting orange. This blue and red outfit was probably my least favourite from the collection, that shade of blue is just a bit too much for my tastes. You can see in the photo above the underskirt/netting which creates the shape of these lehengas - this one in particular looks velvet to me so that underskirt is going to make all the different to how it falls and probably how easy it is to walk in! 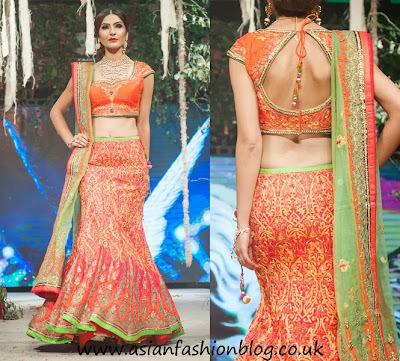 Are you a fan of Ekta Solanki? Which outfit is your favourite?